As a leader in the construction and repair of commercial and naval ships, NASSCO is committed to health and welfare of our employees and the communities in which we operate. NASSCO’s Safety and Health Management System is fully certified and meets all of the requirements of OHSAS 18001:2007. NASSCO’s Safety Department forms a cohesive team with nearly a century of combined safety experience. Together, combined with the drive and initiative of a motivated workforce, we strive to create a safe and improving working environment for all shipyard workers and visitors. 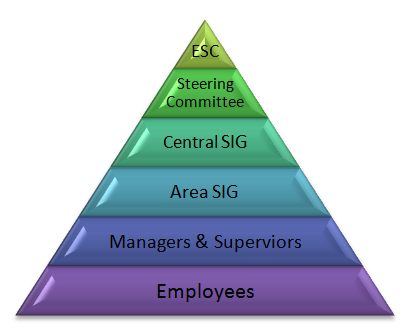 General Dynamics NASSCO’s approach to safety – its Total Safety Culture – is based upon the philosophy that each individual is directly responsible for safety rather than relying on someone else to “inspect it in.” We strive to achieve continuous improvement in safety through initiatives that raise awareness and accountability. It is impossible to take the journey at the heart of NASSCO’s Total Safety Culture without a roadmap. The map is made up of six elements and five levels. Its purpose is to guide us from Initial Efforts (Level 1) through Awareness, Understanding, Commitment, and finally to Habit (Level 5). 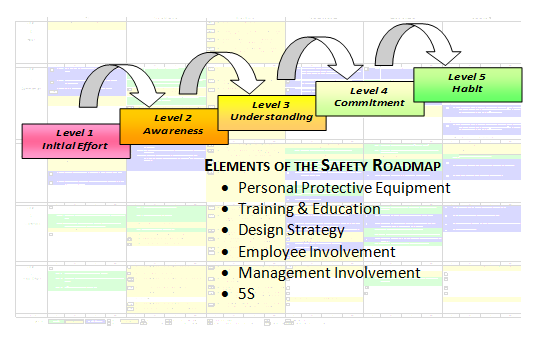 On this journey, we advance through these five levels along six different elements, including Personal Protective Equipment (PPE), Training & Education, Design Strategy, Management Involvement, Employee Involvement and 5S. Striving to achieve safe habits has helped NASSCO maintain an injury rate below the industry average. The NASSCO team is building ships more efficiently and much safer today than at any time in our company’s history. Our team is responding to the challenge of making sure that all aspects of our operations follow the safe practices encouraged by NASSCO’s Total Safety Culture (TSC) and the goals outlined on the Safety Roadmap. We cannot be a successful shipbuilding and repair business if we do not perform our work safely.